Home face masks: is there any benefit? The environment, bad habits, stresses cause great harm to the face skin. Many find salvation for their skin in beauty parlors, but it is possible to provide adequate protection for the epidermis, even if you use what is at hand. One of the best means for renewal, strengthening and rejuvenation of facial skin is considered to be masks. They are very different – professional, for use in salons, for daily use. And there are masks made in the home conditions by the recipes of mothers and grandmothers, tested by time and experience. Advantages of all types of masks are undeniable, but only if they are matched correctly, in accordance with the type of skin and existing problems. A huge number of modern women prefer folk remedies for skin care and make masks themselves, often from what is on hand and look charming, their skin is shining, full of energy and freshness. And the debate about the usefulness and effectiveness of home masks does not cease from the time when the first jar with this miracle-tool manufactured in industrial conditions was published. 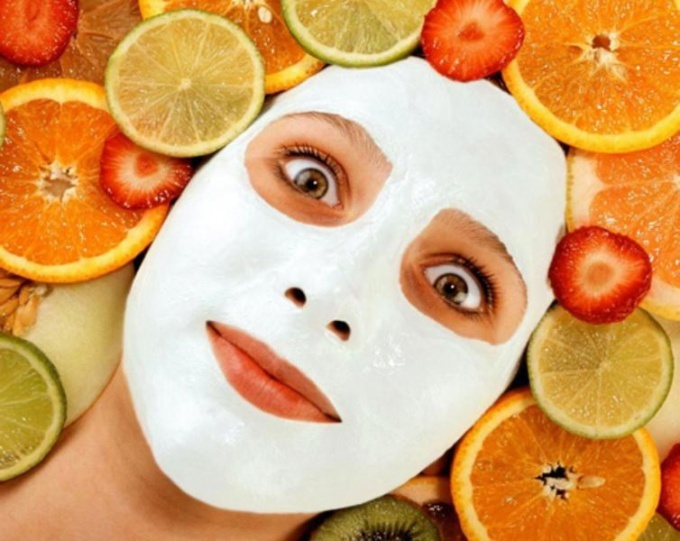 The composition of home face masks for face skin can be very different – based on sour cream or cream, honey, olive oil, pulp or fruit juice, berries or vegetables. But before you give preference to one of these ingredients, it is still recommended to visit a cosmetologist, since only a professional is able to determine which skin problems must be solved first and which substances can help in this. With the problems of oily skin, masks based on honey, whey, egg, lemon juice and bran are excellent. For intensive care of dry skin, which the mask should provide, absolutely other ingredients are needed. This type of epidermis needs moistening and softening, enhanced protection, both from cold air in winter and from hot sun in summer. Decent care and protection of dry skin will give milk or cream, olive oil or egg yolk, rye bread or banana pulp. Apply the mask to the previously cleaned skin, maintain them for at least 10 minutes, and wash them preferably with a warm infusion of herbs. Are masks made at home useful? There are many opinions of professional cosmetologists about the benefits and harms of home-made masks. But the long experience of their application demonstrates that they are no less effective than some professional products from this group of caring cosmetics. The right choice of ingredients, their compliance with the type of skin and the problems that they must solve – this is the key to their success and effectiveness.